The VEAA members participated in these events during 2013. Participants learned how to effectively utilize social media to effectively build their art business, August 3, at the Rockville Library in Goochland County VA. The Morning seminar was complimentary and was taught by Jillian Chilson. The afternoon session was Preparing your Images, taught by David Everette. Participants were thrilled with the information! 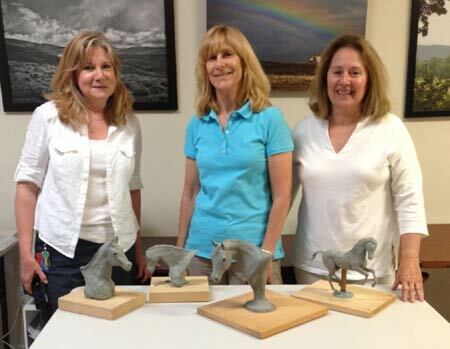 VEAA Member, Robyn Ryan, taught her 2-day VEAA Sculpture Workshop at The Backdoor Gallery in Fredericksburg, VA. Interested in signing up or getting more details on future workshops? Contact Robyn Ryan at Robyn@robynryanart.com, 540-273-5444, Workshop Flyer available at robynryanart.com/about-robyn/teaching. 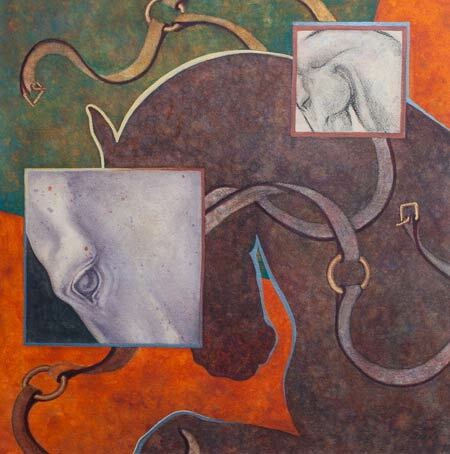 Numerous VEAA members had artwork juried into the "Art of the Horse" exhibit at Gallery Flux in Ashland, VA during the month of September 2013. 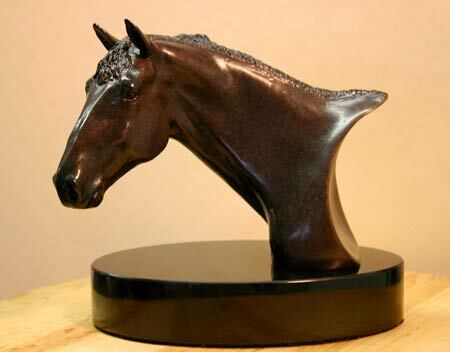 Gallery Flux is a wonderful Venue and we look forward to entering the future "Art of the Horse" Exhibits as well! since Gallery Flux wants to make this an annual event! 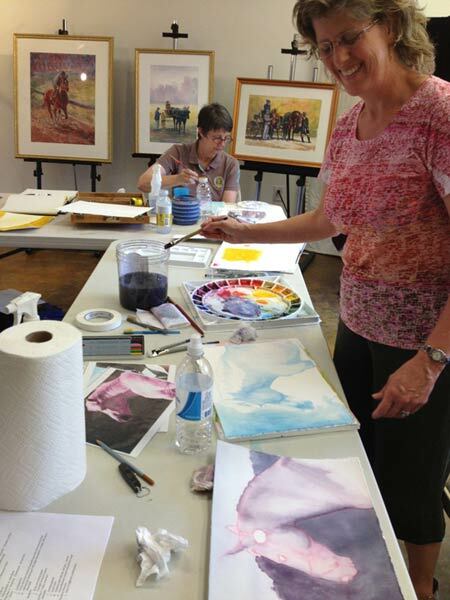 The VEAA hosted a one-day watercolor workshop with Robyn Ryan at the Backdoor Gallery in Fredericksburg, VA on 20 July 3013. The accomplishments in one day for participants with little if any watercolor experience was awesome! It was a fun and productive day! The July 2013 “Love your Critters” Exhibition was on display during the month of July at the Montpelier Center for the Arts. VEAA Members Willa Frayser, Debbie Thomas, and Jillian Chilson will all had pieces on display. 1 & 2 June 2013, Manakin Sabot, VA VEAA members Cheryl Ernest, Donna Doyle, BJ Clark, and Debby Thomas participated and enjoyed themselves immensely in addition to being incredibly productive! 11 May 2013, VEAA display by members, Evan Cox, B.J. Clark, Eleszabeth McNeel, and new member, Donna Bennett, at the Wine and Trotter Festival held at the Shenandoah Fairgrounds. This event was held at the Meadow Event Park, Doswell, Virginia on March 30. 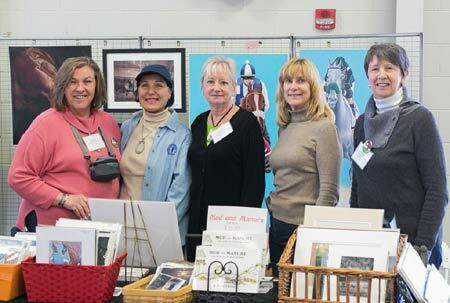 Five VEAA members attended and exhibited their work: Eleszabeth McNeel, Debby Thomas, Willa Frayser, Linda Warshaw and B.J. Clark. There was a tremendous turnout of visitors who viewed the artwork - several framed pieces and prints were sold. Penny Chenery was honored, as well as Ron Turcotte and several other people who were involved with Secretariat and Riva Ridge. 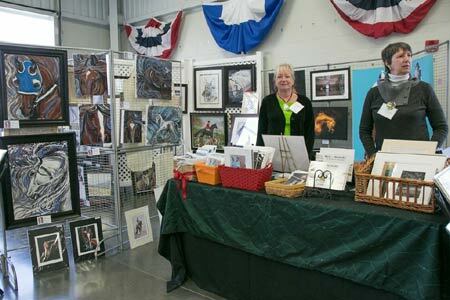 The VEAA Spring Art Show was held 6-20 April 2013 at the Art On A Wire a gallery in Midlothian Virginia. The display of artwork was truly impressive. According to our host, gallery owner Abby Evans, we had many very positive comments from visitors the entire two weeks of the show; some even after it was down! Our judge was Eleanor Cox, a successful and well known artist in the South Richmond area. The 23 March 2013 VEAA Annual Meeting was a fabulous event. Many thanks to our hosts at the Wildlife Center in Waynesboro, VA. In addition to the timely topics, discussions, and great food, the tour and photo/sketch opportunities at the wildlife center were amazing!